Do you ever come across Christmas Spa Package ads like this? Then, before you know it, this amazing opportunity has totally disappeared from your memory or has suddenly been demoted to the bottom of your to do list because you simply feel too overwhelmed or too busy to take time out to book it. Me too !! As a Health and Well Being Practitioner I often encourage clients to pay attention to their self care and am often emphasizing the benefits of a good work and play balance. So dare I say it, when I was presented with a very generous spa treatment gift voucher by my friend earlier this year and I didn’t actually use until a month before it’s expiry date I felt slightly hypocritical as you can imagine…. Having said that, I do ensure that I book in regular monthly massage and coach appointments for myself and take regular holidays so it could have been worst, I may have missed this truly enjoyable and self indulgent experience altogether. Set in the heart of the Mendips, just a ten minute drive from my cottage, Charlton House part of the Bannatyne’s Health Clubs chain has achieved an enviable reputation as one of the leading country house hotels in the South West of England. 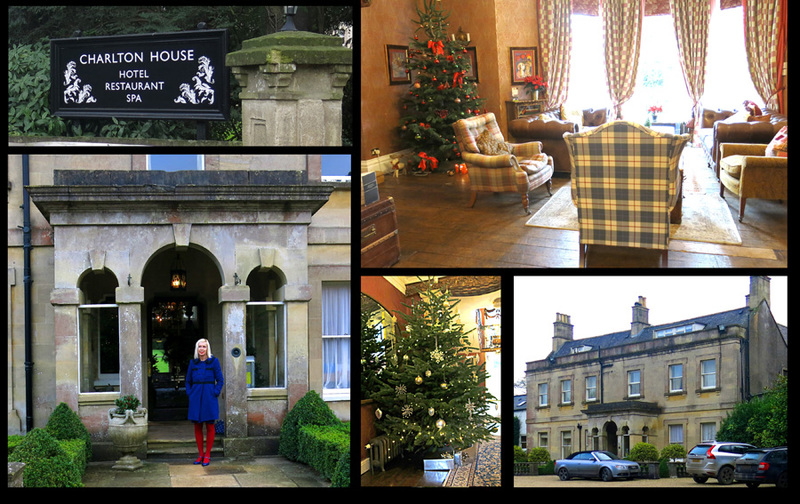 So if you’re looking for a luxurious spa break Charlton House makes an unforgettable stay and here’s my photos to prove it !! Yes, that’s me in the colbalt blue coat again !! What is self care exactly? By this I mean incorporating at least one hobby and activity into your daily routine such as: mindfulness, yoga, pilates, tai chi, qigong, art and crafts, reading a novel, playing a musical instrument, surfing and gardening. What’s key here is allowing yourself to enjoy the journey rather than the arriving, in other words, undertaking the activities at a slow pace it’s not a competition. In terms of mood, I believe we are what we eat!! I am not referring to a miserable life of fasting, food deprivation and diets. What I mean by this is the introduction of a healthy daily diet consisting of mostly fruit, vegetables, seeds, fish and less fast food, red meat and carbohydrates. For example, over the past few years, I have gradually reduced my daily bread, rice, pasta and sugar level intakes and only eat fast food and take aways about twice a year if at all nowadays. As a result, I have noticed how less tired and sluggish I feel and how I feel increasingly more energetic and motivated. My new motto is moderation not deprivation. I go to bed most evenings before 11pm with the aim of sleeping for at least 7 hours. Research indicates that engagement in emails and social media activities such as a facebook and twitter can overstimulate the mind resulting in difficulty sleeping. So as part of my daily bed time routine, I ensure that I cease sending emails or engaging in any type of face book, twitter or other types of social media activities for at least two hours before going up to bed. Do you include relaxation, exercise and diet into your daily routine? If the answer is no then your work life balance or levels of self care are probably not as robust as they could be and you are not alone in this very common dilemma. Most of us put work above family, friends and hobbies or have struggled with time stress at some point in our lives. We are not taught about the significance of self care and work life balance at school, so how can we be expected to know how to create our ideal dream lives? I believe self care and the art of work life balancing should be a mandatory item on the school curriculum. How do you put self care strategies into practice to create a healthy work life balance? Following extensive self care and boundary setting training on my Psychotherapy Master’s Degree and from attendance at several personal development courses, the knowledge I acquired , outlining how to create a timetable that reflects my ideal, dream week, has made a significantly, positive difference to my life and health and well being. • Nowadays, I rarely feel tired, resentful and guilty except of course when I leave spa package bookings to the last minute !!! 10pm – 11.30pm – Read a novel. What are the benefits of self care and creating your ideal, dream life? Heath and well being are your most important assets and investments, without these, you may experience exhaustion, illness, burn out and struggle to be as productive and as successful as you could be at work. Put simply: Health = Wealth. Why is it no matter how much time most people are given, they often finish jobs or tasks at the last minute and are left feeling completely stressed out? • Why is it that very high wage earners end up broke? • Why do organisations get stuck firefighting? • Why do the lonely find it hard to make friends or to find a partner? 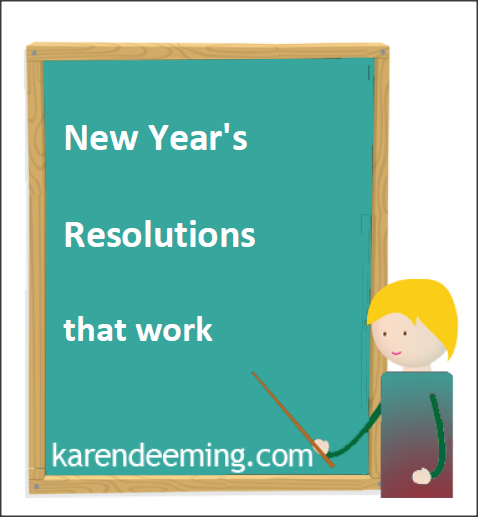 • Why do most New Year Resolutions fail by February? The result these academics argue, is a life fixated on agonising trade-offs, crises, and preoccupations that impose persistent negative thinking and self defeating actions. 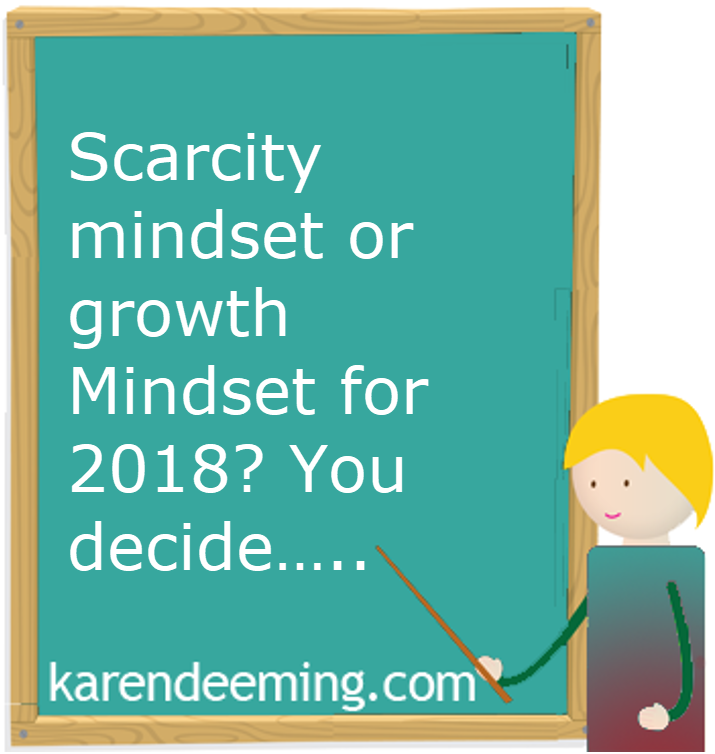 How can you re programme your scarcity mindset and develop a healthier growth mindset instead so that you can get the most out of your counselling or mindfulness sessions at work or in your personal life? • The brain reacts more strongly to negative stimuli than to positive stimuli. How can Neuroscience and a knowledge of the brain help you to develop a growth mindset and the best return on investment on your counselling coaching and mindfulness sessions? For those of you who are unfamiliar, Neuroscience is the study of how the nervous system develops, its structure, and what it does. Neuroscientists focus primarily on the brain and its impact on behaviour and cognitive functions. That’s why anxiety, frustration, anger and other chronic stress reactions can occasionally, or for some people frequently, escalate into huge problems. Put simply, we’re not using our amygdala as effectively as it was intended. I’m really happy and grateful to be a wildly successful writer and public speaker, and wife with an endless regular weekly supply of income that greatly exceeds my outgoings. What’s also wonderful is that my work is mostly daytime and online so I can do it anywhere in the world. I have over 5,000 twitter and instagram followers and I’m thrilled that my fiction book is a best seller. I have great health and I’m really enjoying a good work life balance with lots of time to relax and exercise to play piano and make jewellery and other creative activities. My life is full of fun and joy and I have an abundance of male and female friends that bring out the best in me in Wiltshire and in other parts of the UK . Repeat this at least once each morning and then just before you go to sleep for at least a six week period. (2) then, cut out some images/photos from either a magazine or the internet relating to your life script and arrange them on a piece of paper or on a cork memo board/whiteboard. Alternatively, create a collage by using pinterest or instagram. The results have often been astounding. 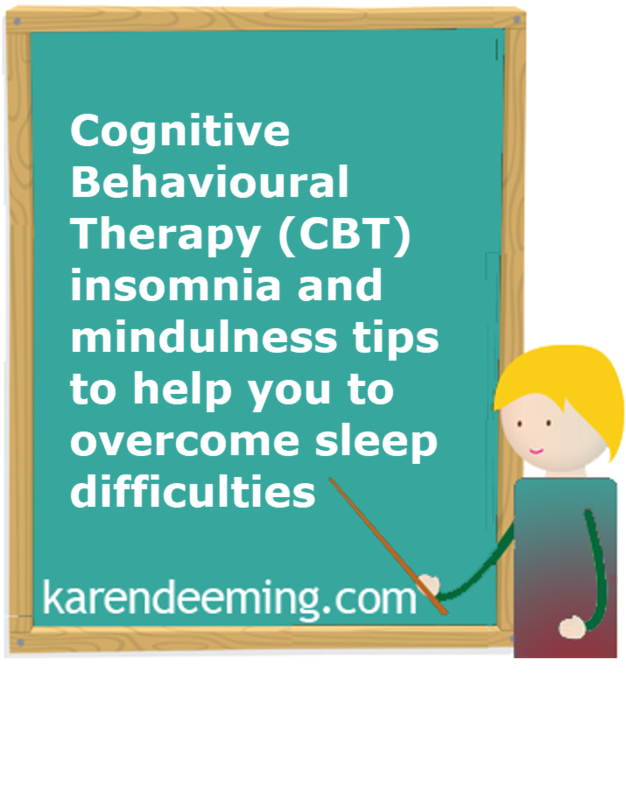 Having said that though, most of these clients have undertaken a few counselling or coaching sessions with me, Karen Deeming, before adopting the above exercise in order to achieve their goals. What’s the primary principle behind this techique? The subconscious mind operates 95% of your life and only 5% of what you are thinking or perceiving is your conscious mind. The subconscious mind works most effectively with pictures and imagery so you want to take advantage of that, ie the photos. Once you train your subconscious mind to focus on the things that you want then your performance starts to follow because your performance is always aligned with your subconscious mind. Also as children we picked up messages from parents, peers, teachers and society, not always positive, that literally form the 95% that we are not conscious of and this 95% is really running the show often resulting in fears and doubts that cause us to procrastinate or to feel stuck and demotivated. We then blame our doubts and fears on the external world and we play the victim but the reality is it is our own selfs we are our own saboteurs. The creating your dream life exercise is an ideal tool to reprogramme your subconscious and of course your unhealthy, scarcity mindset. Does any of this sound familiar? What can you do about it? Take control of your negative internal chatter box alias “inner critic”. If after reading this blog, you are still struggling to overcome your scarcity mindset and are feeling overwhelmed with distractions and negative thoughts don’t panic or give up just yet. Coaching, counselling or a mindfulness course can help you. Counselling and coaching is about personal growth and development and encouraging people to discover their potential for living as well as for people with anxiety, depression, stress, bereavement, low self esteem, and relationship difficulties. Why is it that very high wage earners end up broke? Why do organisations get stuck firefighting? Why do the lonely find it hard to make friends or to find a partner? 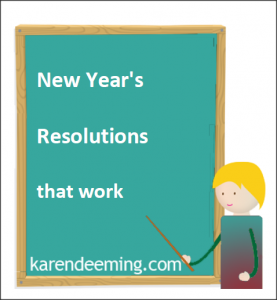 Why do most New Year Resolutions fail by February? So what’s your resolution this year? to stop smoking, gambling or drinking? to develop better money management strategies? to relax more and stop spending so much time at work? the list can often be endless………. Instead of focusing on deprivation and starving yourself, ie scarcity, begin your resolution by developing a positive mindset of abundance. setting a specific realistic goal such as aiming to loose 5lbs by the end of January not something vague like to loose weight. What’s the primary principle behind this techique? The subconscious mind operates 95% of your life and only 5% of what you are thinking or perceiving is your conscious mind. The subconscious mind works most effectively with pictures and imagery so you want to take advantage of that, ie the photos. Once you train your subconscious mind to focus on the things that you want then your performance starts to follow because your performance is always aligned with your subconscious mind. The weight loss exercise is an ideal tool to reprogramme your subconscious and of course your unhealthy, scarcity mindset. 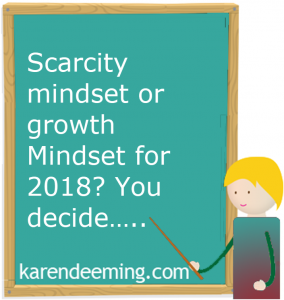 If after reading this blog you are still struggling to overcome your scarcity mindset and are feeling overwhelmed with distractions and negative thoughts don’t panic or give up just yet. On line coaching, counselling or a personal development or mindfulness course can help you. So what is a subpersonality? 1 A semi permanent and semi autonomous region of the personality capable of acting as a person. 2. Subpersonalities are psychological satellites, coexisting as a multitude of lives within the overall medium of our personality. Each subpersonality has a style and a motivation of its own, often strikingly dissimilar from those of the others. Another way of describing it is that subpersonalities are the people inside us and that each of us is a crowd. During my MA training as a Psychotherapist, I was very fortunate to be taught about subpersonalities by Dr John Rowan who has written extensively about this topic. More recently though, at a one day workshop the Trainer, named Peter, was very brave in naming a few of his own subpersonalities: Peter Pan, Perfect Peter, Promiscuous Peter etc. For example, the angel figure at the bottom of the collage represents their compliant, goody two shoes subpersonality and the headmaster with an accompanying wooden cane at the top of the image symbolizes their inner critic subpersonality. Do you recall Mr Men, series of children’s books by British author Roger Hargreaves in the 1970s? The series features characters with names such as Mr Tickle, Mr Happy, Mr Forgetful, Mr Daydream, Mr Uppity, Mr Silly, Mr Messy, Mr Funny, Mr Mean, Mt Chatterbox, Mr Nosey, Mr Greedy, Mr Impossible, Mr Strong, Mr Lazy, Mr Cheerful etc who have personalities and physical attributes based on their names. Perhaps Hargreaves was referring to his own subpersonalities here? Subpersonalities are habits or patterns of behaviour that we have followed since childhood: eg inner child, the very responsible one, the rebel, the organiser, the controller, the adventurer, the saboteur, the aesthete or the worker. By recognising and working with subpersonalities she argues that the conformist can be transformed into someone more adaptable, a rebel tendency can become innovation or maybe the rebel and the conformist can work together and develop a new sense of leadership. Often our subpersonalities are battling with one another and so can cloud our judgements or make us appear indecisive especially in the work place. So as I see it, if we acquaint ourselves with our subpersonalities we can then identify the perfect environment in which they might blossom and thrive (ie create the ideal soil that promotes grow). Subsequently we can establish a middle ground between those that are in opposition with one another such as the bully at work and the meek mild subpersonality at home. In other words, attempt to harmonize our subpersonalities so that we feel less fragmented and more whole. By turning down the volume of the bully at work, the gentler side of one’s personality can emerge in order to make more balanced decisions and a more pleasurable and motivating office environment for work colleagues. What situations bring you out? What is your approach to the world? What is your basic motive for being there? What are your blocks to full functioning? When did you first meet (name of person – ie you)? What was going on? What would happen if you took over permanently? What helps you to grow? How do you relate to women/men/children? How does this relate to my personal story then? The inner knowledge of my subpersonalities has helped me enormously to make my life work. In the context of this blog though, I’ll focus on the most appropriate examples. leave behind my hectic London lifestyle and Harley Street Private Practice to live in the idyllic countryside and do my dream job as a successful Psychotherapist, Coach and Mindfulness Teacher at my Bristol and Somerset Practices. Fortunately, following a number of lengthy debates between the two subpersonalties, Curious Karen managed to persuade Cautious Karen that both decisions would enhance my quality of life and achieve a healthy work life balance. What can you do about subpersonality inner conflicts? Take control by making friends with your subpersonalities and encourage them talk to one another. According to Oxford University Mindfulness Professors, thousands of peer-reviewed scientific papers prove that mindfulness enhances mental and physical wellbeing and reduces chronic pain. So if you want to reduce anxiety, stress, depression, exhaustion, physical pain, they all decrease with regular sessions of mindfulness exercises and meditations. Another benefit of mindfulness is that it enhances memory retention and an increase in mental and physical stamina. Research indicates that those of us who practice mindfulness regularly are calmer, happier, more contented and less prone to psychological distress. 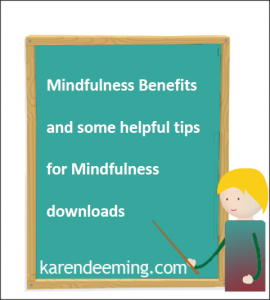 As well as delivering Mindfulness courses, I also find it helpful to introduce some Mindfulness techniques and ideas during individual counselling and psychotherapy sessions. 1. Regardless of what happens (eg if you fall asleep, lose concentration, keep thinking of other things or focusing on the wrong bit of the body, or not feeling anything), just do it! These are your experiences in the moment. Just be aware of them. 2. If your mind is wandering a lot, simply note the thoughts (as passing events) and then bring the mind gently back to the meditation. 3. Let go of ideas of “success “, ” failure “, ” doing it well “, or “trying to purify the body “. This is not a competition. It is not a skill for which you need to strive. The only discipline involved is regular and frequent practice. Just do it with an attitude of openness and curiosity. 4. Let go of any expectations of what the mindfulness meditation will do for you. Imagine it as a seed you have just planted. The more you poke around and interfere, the less it will be able to develop. So with the meditation, just give it the right conditions – peace and quiet, regular and frequent practice. That is all. The more you try to influence what it will do for you, the less it will do. 5. Try approaching your experience in each moment with the attitude: “Ok that’s just the way things are right now “. If you try to fight off unpleasant thoughts, feelings and body sensations, the upsetting feelings will only distract you from doing anything else. Be aware, be non-striving, be in the moment, accept things as they are. Just do it.